Croke Park in Dublin has been at the heart of Irish sporting life for over 100 years and is the headquarters of the Gaelic Athletic Association (GAA), Ireland’s largest sporting organisation that represents our unique national games of hurling and football. The GAA Museum celebrates Ireland’s national games. The museum’s collections and exhibits illustrate the rich history of these national games, highlighting the significant contribution the GAA has made - and continues to make - to Ireland’s cultural, social and sporting heritage. 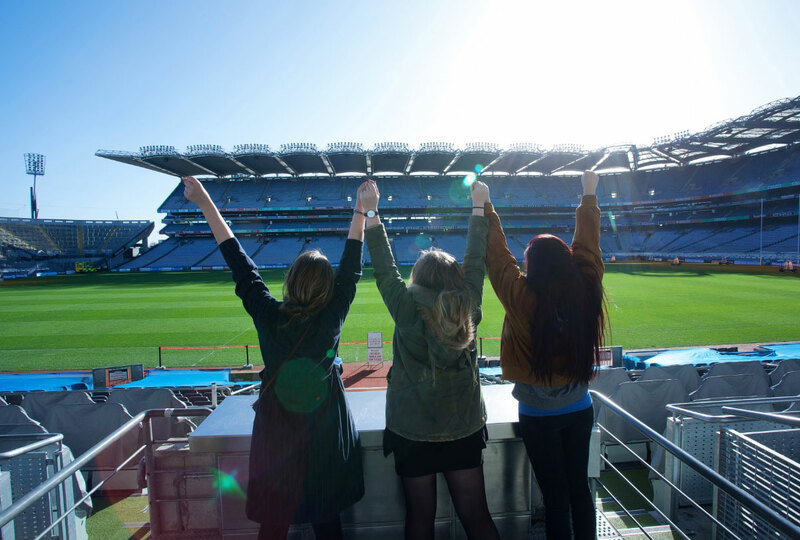 Explore the home of Gaelic sport on the Croke Park Stadium Tour as you take a behind-the-scenes journey through this 82,300 capacity stadium. The guided Stadium Tour offers an access-all-areas trip through the home of Ireland’s national games. The Ericsson Skyline Rooftop Tour at Croke Park offers visitors unmatched panoramic city views and insights into Dublin’s celebrated landmarks combined with the thrill of walking on top of Europe’s third largest stadium. Learn more about Dublin’s history on this unique experience. Test your Gaelic football and hurling skills in the interactive games zone – see how fast you can react, check out your passing skills, practice a fingertip save or discover the art of the high catch! All tours include admission to the GAA Museum.